Not a long hole but can be as difficult as any. As with all golf holes the key is the position of the tee shot. Here the fairway looks wide and quite expansive, a single bunker on the right the only hazard. The approach shot is the important one. 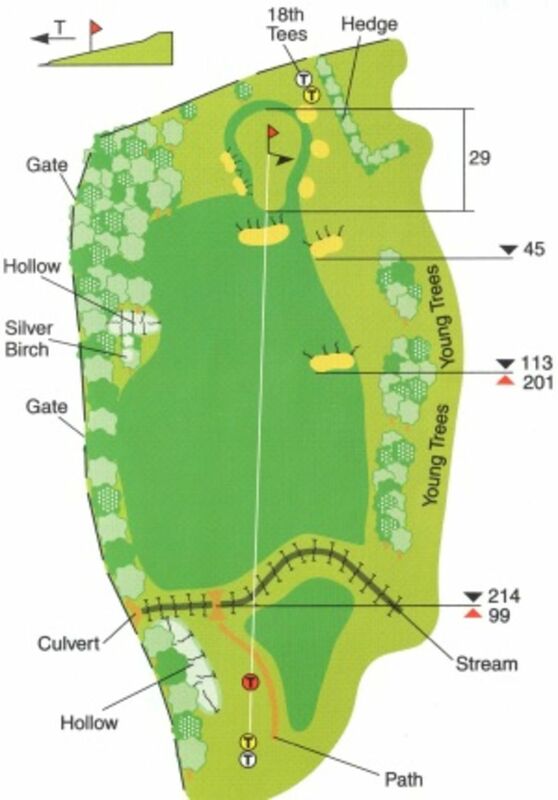 The tricky sloping green is protected front and both sides by bunkers and has out of bounds at the rear. The adjacent land is not the easiest to chip back from, with slopes on the green making it difficult to stop the ball quickly. Putting should be straight forward but even the shortest of putts can test the nerve of the better golfers.